Envisioning the best future use of this vacant lot next to Legacy Emanuel Hospital at North Russell and Williams Avenue, a property that was once the center of black life in Portland but has stood idle for decades, will be the reason for an open house to collect community feedback on Tuesday, Feb. 20 at the nearby New Song Community Church. A diverse group of community representatives tasked with leading the visioning and development process for the Hill Block project at North Russell Street and North Williams Avenue will hold an open house and information session on Tuesday, Feb. 20, from 6 p.m. to 8 p.m. at nearby New Song Community Church to collect feedback from community members regarding their hopes, concerns, and aspirations for the property. The city of Portland and Legacy Health announced plans to develop the property last summer and the upcoming event will mark the transition of project stewardship from institutional partners to the community-based Project Working Group. The block is located within an area that Prosper Portland and the City of Portland condemned in the early 1970s under urban renewal for an expansion of the hospital campus, displacing 171 families, 74 percent of which were African American. The focus of the new development is to honor Portland’s African-American community, support community housing and economic needs, and further Legacy Health’s mission of promoting health and wellness for children and families. 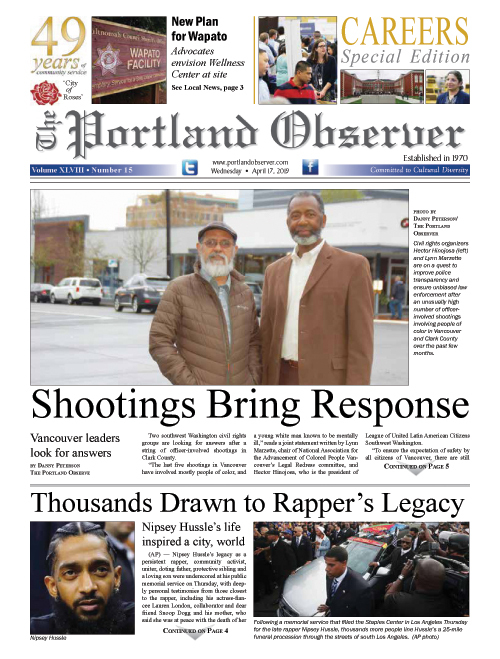 “This is a historic opportunity to acknowledge the mistakes of the past and learn from diverse voices, expertise and vision to deliver a project that honors the African American community and fosters opportunity for wealth creation, ” said Prosper Portland Executive Director Kimberly Branam. Nominations to the Project Working Group involved outreach to more than 20 organizations and community groups and focused on racial and generational diversity and a broad set of perspectives and skills. The Project Working Group will oversee a year-long visioning and development process that is meant ensure a transparent, community-serving project, officials said.